Thank you everyone who attended the joint Young Professionals Networking Drink last night at Monday Night Brewing! We had a blast networking with people from the different international chambers, touring the brewery and of course, drinking beer! We look forward seeing you all at our upcoming events! Interview with Qmatic CFO Tobias Martinsson! 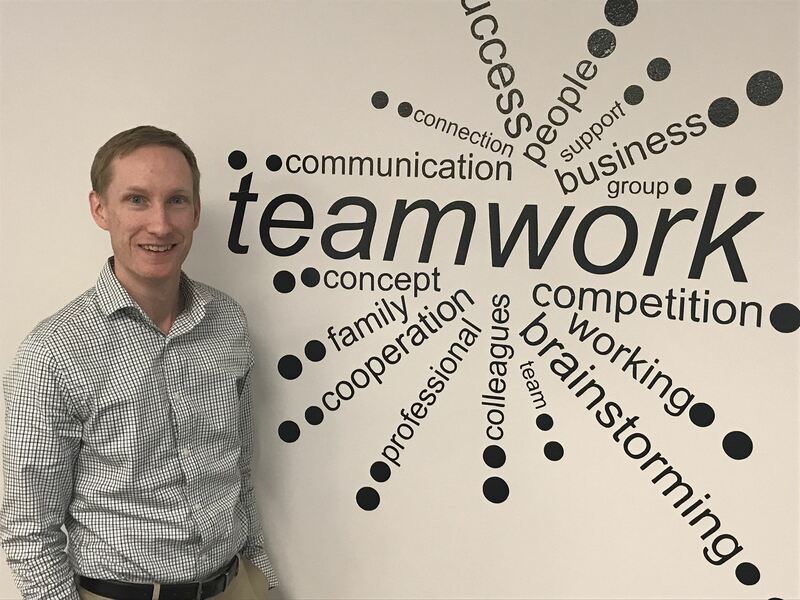 This week, we had the chance to speak to Tobias Martinsson who is CFO at Qmatic, a global leader in queuing and customer journey management solutions as well as corporate members of SACC-Georgia. Read more about Tobias and his background, as well as the very interesting company Qmatic, its previous journey as well as what lies ahead in the future below. Tobias grew up in Vänersborg, a small town close to Sweden’s second largest city Gothenburg, where he graduated from Handelshögskolan majoring in Business Management. Tobias has been with Qmatic since 2011, and after about three years at the company he was offered to join the US organization as CFO. - It was an easy choice to take on the role here in the US! I was excited about the challenge of the role as CFO and had never been to Atlanta. My wife and I have always liked travelling so we are very grateful for getting the opportunity to get to know this new part of the world. Qmatic is a global leader in queuing and customer journey management solutions, offering products and solutions that connect people to services. They do this through their own software platform and hardware solutions which they design and manufacture. With their offering Qmatic helps their clients provide great customer journey experiences. Globally, the company focuses on four key industry sectors - Public, Healthcare, Financial and Retail. - A great thing with the Qmatic offering is that we have solutions that can fit into most environments, even if it is for an enterprise client with over 1,000+ offices, or clients with perhaps only one office. Qmatics offering is scalable in both size and functionality, which means that we can grow with our customers and create long term relationships. Being a product technology company, Qmatic has transformed a lot since its establishment in 1981, a lot because of the fast and advanced technological development since then. - Our offering has moved from what was once basically only a hardware product made for one single location, to today being a large enterprise software platform with a lot of integration points. To stay relevant on the market, we have grown with our customers and listened to them for input into our product development. Being a global company, we have also managed to gain experiences from all over the world and taken that into account when entering new markets. Tobias explains further how innovation is something always present in the company’s culture, as well as being influenced by its values and at some levels its Swedish heritage. - In a very dynamic way, we have created a culture of a ’30 year old start-up’ to stay relevant and drive innovation. We also do have a Swedish influence in our culture. For instance, we have adopted the “Swedish Fika”, which we try to have regularly as a social gathering where we share company updates. However, we also work in global teams where influences are being shared in both directions. Our corporate values are built on four key words - Commitment, Expertise, Teamwork and Ownership. They seem to work everywhere and can be felt in all our companies, blended well with the local culture. Being a company on a constantly and fast changing market with many innovations and new entrants does not go without challenges. - For Qmatic, our challenge is that we are a fairly small company in the technology market, even though we are the biggest one within our space. We do not have the strong brand name as some large technology companies do. However, this can also be an advantage to us in the sense that we are the true experts in our field. Despite having a product that fits all around the world, the challenges as well as market presence somewhat differs around the globe. - At Qmatic we can see that depending on where we operate in the world, our solutions tend to work better in some segments than others. For example when comparing Sweden and the US, we are much stronger in the public sector in the US. People in the US visit places like DMV and Social Security offices. In Sweden it is more common to do these type of services online and Qmatic has a stronger prescence within the retail industry. If you the Middle Eastern region, we are strong in the financial sector of retail banks. SACC-GA is proud to have Qmatic as one of our corporate members, and Tobias himself is an active member of the chamber who enjoys the events. - Qmatic joined SACC-GA because we wanted to have a closer tie to our Swedish heritage. The organization also has a very active community which makes it a great network to be part of. 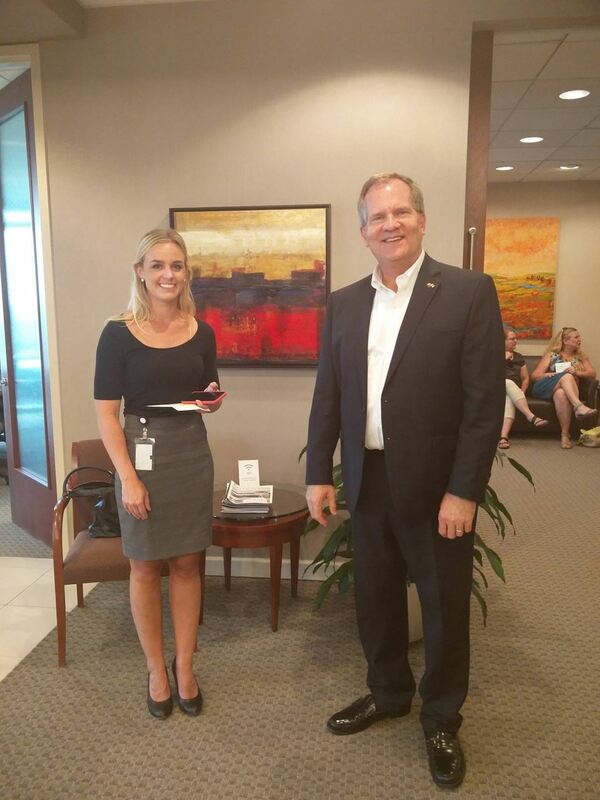 I have personally been to quite a few events over the past years and I have really enjoyed company visits like the ones at Hartsfield-Jackson International Airport and Thomas Concrete. 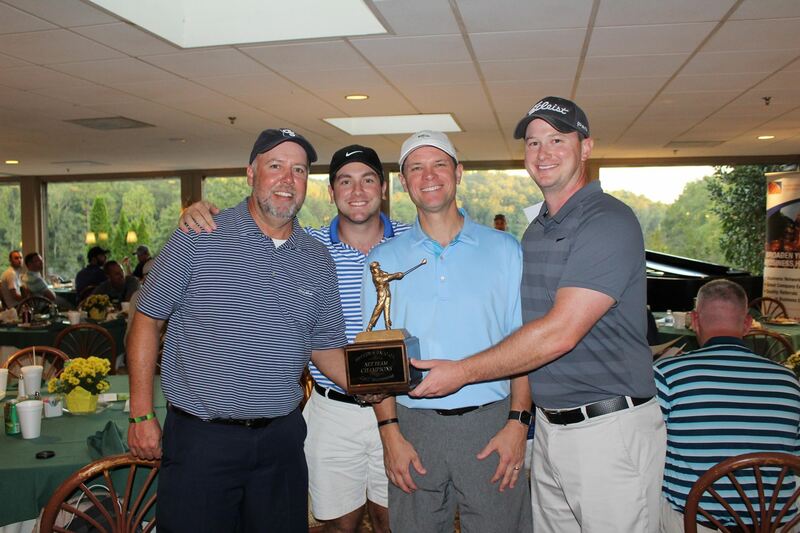 My favorite event however is probably the one I just participated in, the annual Golf Tournament. This year it was arranged together with the Dutch Chamber, which was a great success that I think SACC-GA should continue to build on. Finally, Tobias explains that the future of Qmatic lies in providing even better experiences for their clients, through providing more data insights and innovation. - With our systems there are many unique touchpoints where clients can access data and statistics. The future includes utilization of a variety of merging technologies, from better business intelligence to AI and beyond. We can see that customer experiences are getting more and more transparent in today's world, and that a good or bad experience can be shared amongst millions of potential customers through various from of media. All organizations need to understand how to improve the experience for their customers. Qmatic will help them succeeding in this area. 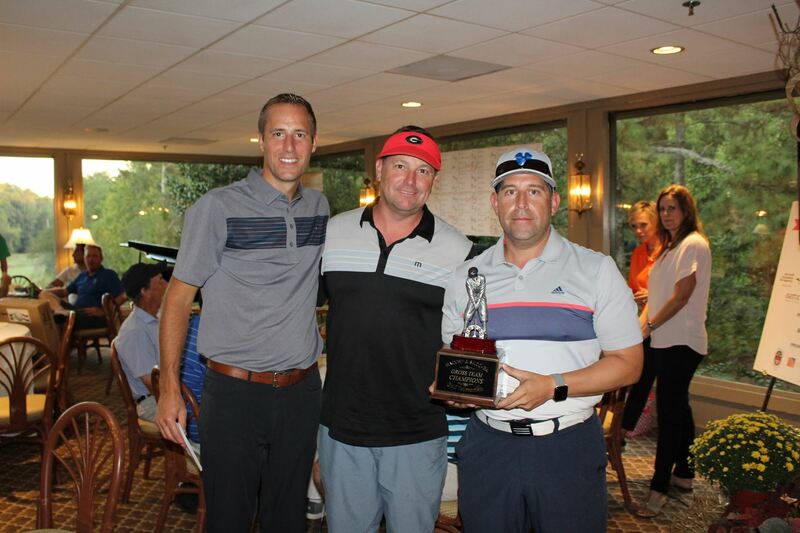 We would like to take the opportunity to thank our sponsors and everyone who attended the annual Golf Tournament on Tuesday, this year held together with the Netherlands American Chamber of Commerce SouthEastern United States! It was a fantastic day and we hope that everyone enjoyed themselves. Congratulations to the winners of the tournament as well as the raffle prices - we already look forward seeing you and everyone else next year! More pictures will be posted shortly. SAVE THE DATE! 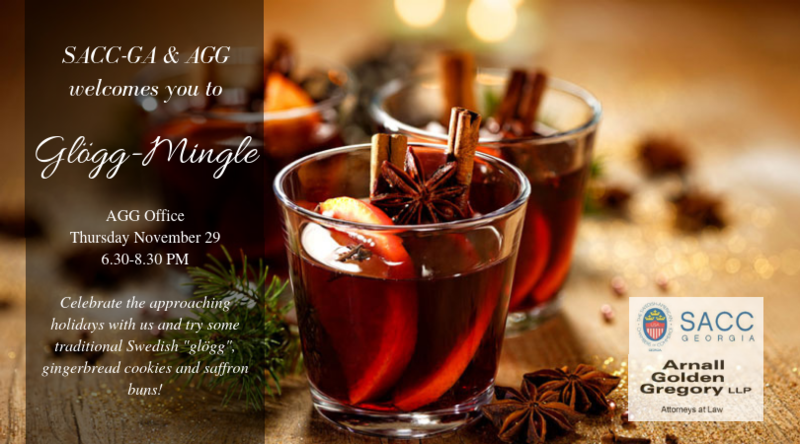 Glögg Mingle with AGG and SACC-GA! Holiday Networking with SACC-GA and Arnall Golden Gregory! We warmly welcome you to celebrate the approaching holiday season with SACC-GA and Arnall Golden Gregory. Come by AGG's office and try traditional Swedish "glögg", gingerbread cookies and saffron buns while networking and socializing with the Swedish-American business community in Atlanta. Stay tuned for how to register for this festive event! Thank you to everyone who attended our Open House yesterday! We hope that you enjoyed the fika and had a good time networking, we sure did! 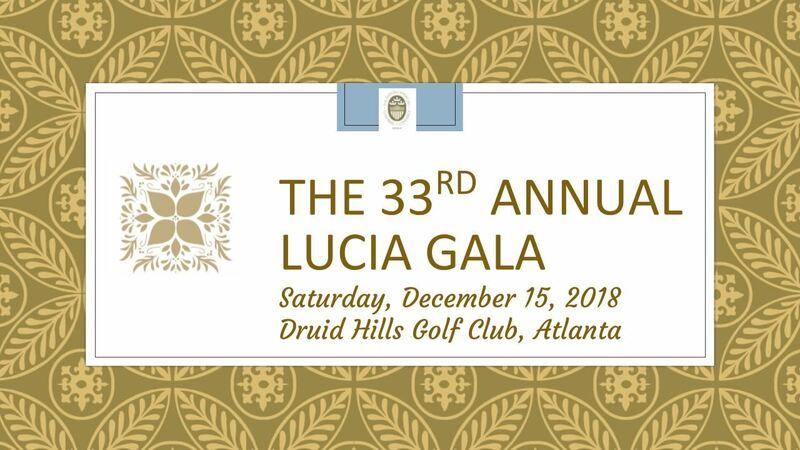 Believe it or not, but it is time to start preparing for SACC-Georgia's 33rd Annual Lucia Gala! 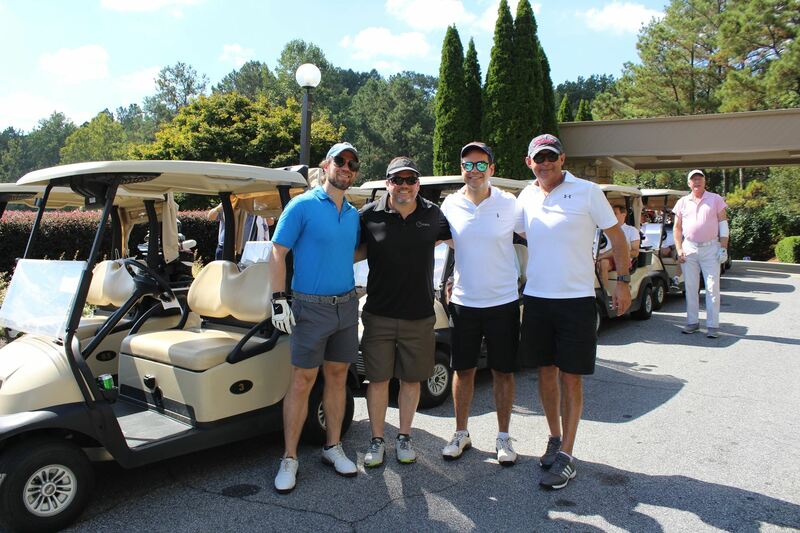 This extraordinary event is taking place December 15th 2018 at Druid Hills Golf Club. Come celebrate this wonderful tradition with us and enjoy delicacies from our Swedish Christmas Smorgardsbord, various Scandinavian beverages, a traditional Lucia procession performance, schnapps singing, dancing to a live band, silent auction, and much more. To register/purchase tickets for the event, click here! For inspiration and perhaps build up your excitement even more, a video from last year’s event can be found here and photos here. The date is set for SWEA Atlanta's traditional Swedish Christmas Market, taking place on Sunday December 2nd between 11 AM - 3.30 PM at Dorothy Benson Center in Sandy Springs. This annual market showcases the culture and holiday traditions of Sweden and draws many Swedish, American as well as international families from around the state. At the market you will find unique Swedish crafts and gifts, sweets and home-baked goods and enjoy Swedish food and drinks - and of course much, much more! The Market also offers children’s activities hosted by the Swedish School of Atlanta, and last but not least, a traditional Lucia procession. The admission for this event is $2 for Adults and free for those under the age of 18. Also, free for any visitor wearing a Scandinavian National Costume (“folkdräkt”). Read more about the event HERE, we look forward seeing you there! This week we had the chance to chat with Jaime Gonzalez Pereira, Vice Chairman of SACC-GA and Business Controller at Elekta, a Swedish company that provides radiation therapy, radio surgery, related equipment and clinical management for the treatment of cancer and brain disorders. 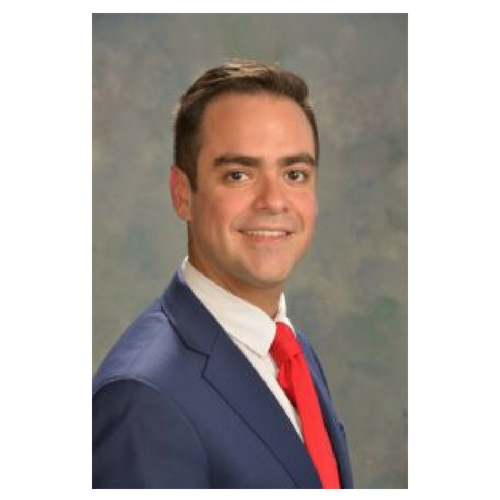 Elekta has one of their many global offices in Atlanta, and is also a corporate member of SACC-GA. We talked to Jaime about his relation to Sweden and SACC, as well as Elekta as a company. Tell us a little bit about yourself and your relation to Sweden as well as SACC-GA? I was born in Chile and at a quite young age, my parents decided to move to Sweden due to the situation in Chile. The reason for the decision of Sweden was that my parents had some relatives living in Stockholm. Sweden was also known, which I believe they still are, to be of help and accept people from countries where there might some sort of instability. I finished my studies at University of Stockholm, where I then began working for Elekta at the end of calendar year 2007. Got a promotion where I moved to the UK, then to Brazil and then to the US, where I’ve been for almost 4 years. So my career has brought me to several different countries where I always try to have some sort of connection to Sweden. Arriving in Atlanta, SACC-GA was that connection with Sweden. 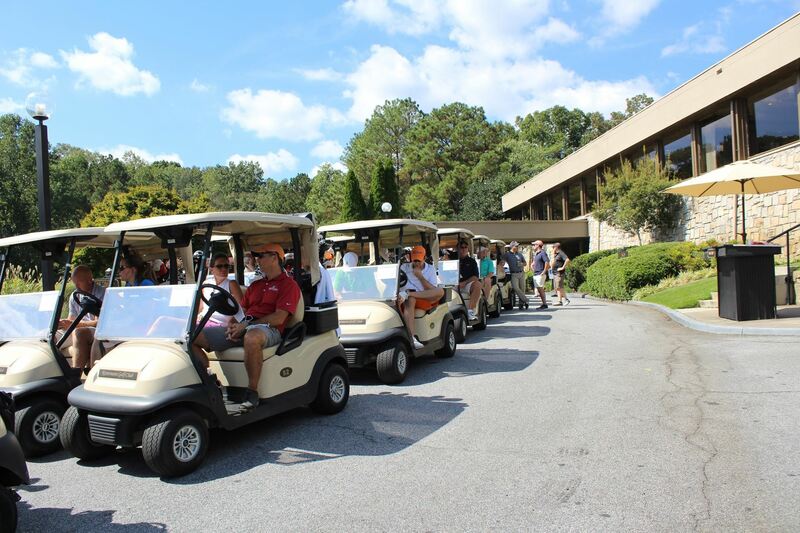 What is your favorite event with SACC-GA and why? Lucia for sure. 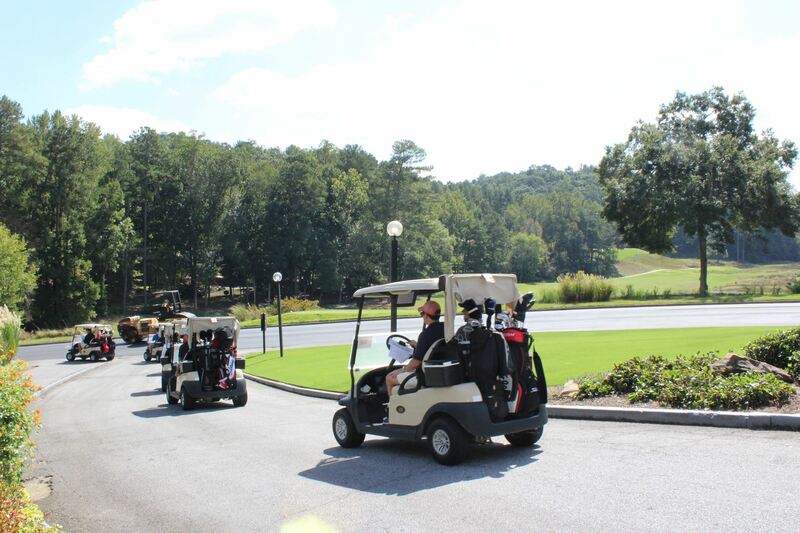 You'll see a majority of members from SACC, who also invite family and friends. It is also one of my favorite events because it's a cultural celebration that brings back good memories from Sweden. Tell us about Elekta and why they are a part of SACC-GA? Elekta is proud to be the leading innovator of equipment and software used to improve, prolong and save the lives of people with cancer and brain disorders. More than 6,000 hospitals worldwide rely on Elekta's technology. Elekta has been a part of SACC-GA for many years. Elekta's former CEO (Tomas Puusepp) was based in the US for many years and saw the need and benefit of being part of the Chamber, to gain knowledge and experience from other Swedish companies, but also to give input on what Elekta deals with, both benefits and struggles. 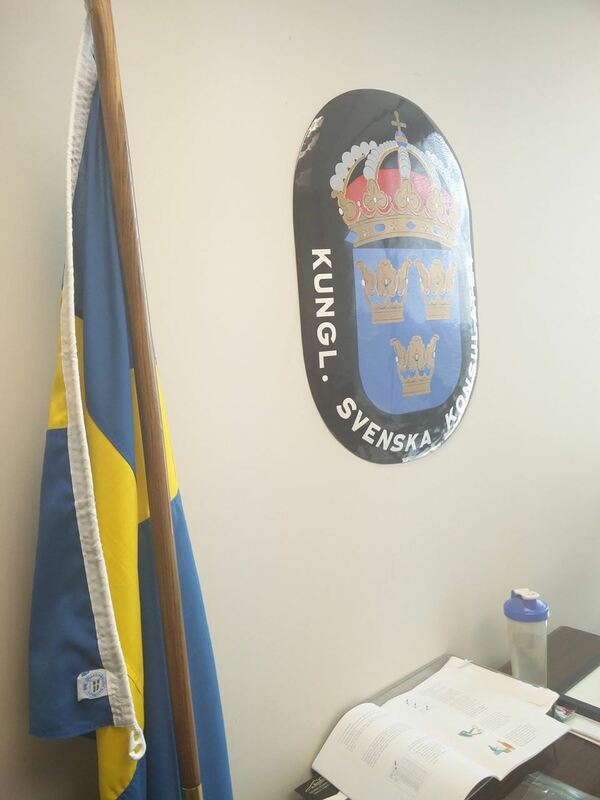 I strongly believe that Elekta benefits from bringing “Swedishness” into the office and to its employees by being part of SACC-GA. We strive to have employees being a part of events, which might be difficult being based in Atlanta, U.S.
How does operating a business in the U.S differ from Sweden? Especially for a company like Elekta? First of all, volumes are a big difference. We’re comparing Sweden that have 10 million people in population vs. the US who have 325 million. But not only due to population difference, US is the world’s largest market for radiation therapy and it has the largest installed base of linear accelerators. If you look at the work force Elekta has globally, out of 3,700 employees, 900 of them are based in the US. This makes the US the biggest employer within Elekta, even bigger than UK, where Elekta has its major production plant. Also, based on producing products to hospitals in Sweden (but also in many other countries in Europe and other continents) the purchases are done by the state, due to hospitals being part of the public sectors. In the US it’s predominantly private healthcare providers. In what ways is the Swedish mentality and culture present at Elekta here in the US? “Consensus” is noticeable in the day-to-day work (not sure if it’s always good) and June-July months are very calm over here in the US whereas no one answers if you give a call to Sweden. Jokes aside, Elekta does try to give certain benefits to its employees, such as an extended maternity leave. We do have one core message which is “we do what we say”, which I feel is well connected to the Swedish mentality. Something I do like with Elekta culture, and also noticed among chamber company members, is that it’s quite easy and almost encouraged to move from one country to another. It’s well accepted to have international colleagues because we understand it gives a good benefit, not only for the one who moved abroad, but also for local employees to gain experience from how other cultures works, and gain ideas from. Personally it has brought me fantastic challenges and activities during my 10 years with Elekta! 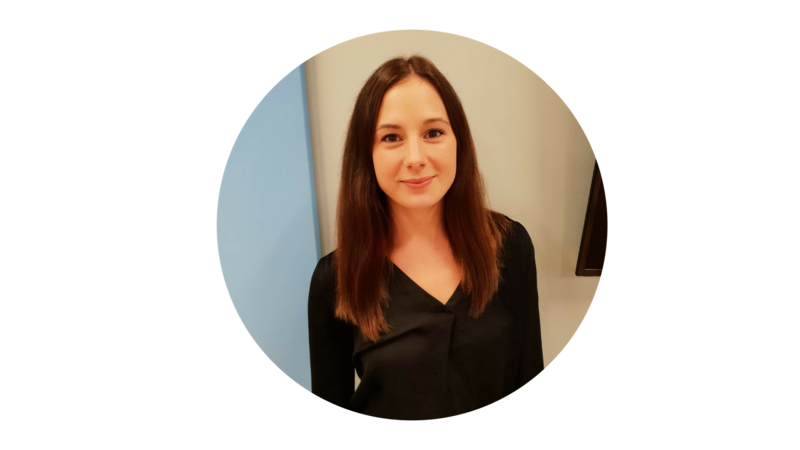 SACC-GA welcomes Anna and Josefin to the team! Welcome new Business Development Coordinator Anna Malmsten and Marketing & Event Coordinator Josefin! 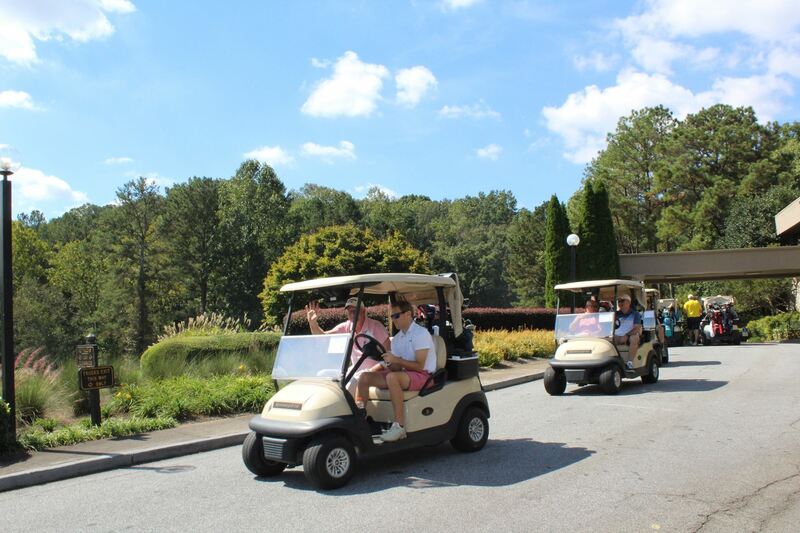 After a long, warm summer it is safe to say that we are more than ready to kick-start this fall with a lot of new events and activities planned. 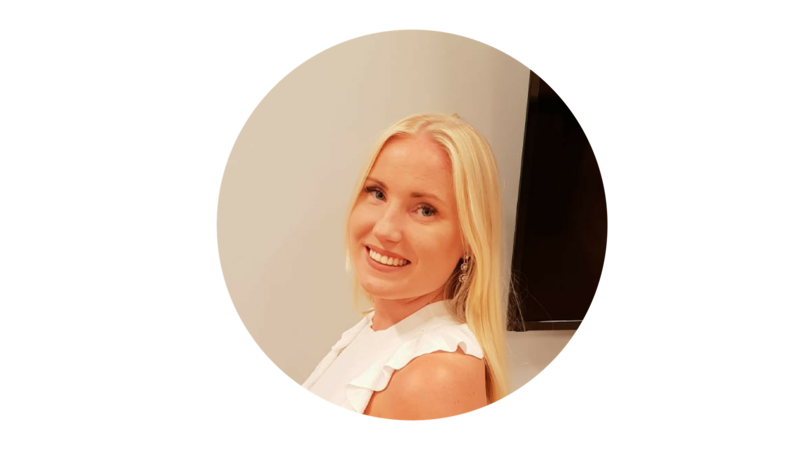 For SACC-GA this means that new trainees are joining the team, and we are happy to welcome Anna Malmsten for the Business Development position and Josefin Edenborg as Marketing & Event position. Read on to get to know more about Anna and Josefin and their thoughts of their upcoming months here in Atlanta! What do you look forward the most? 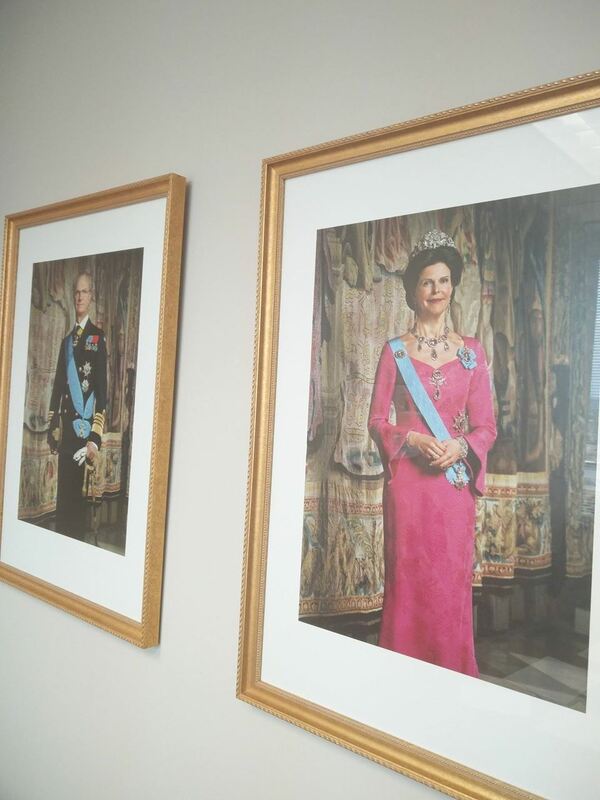 I look forward to experiencing the culture here in the states, both in terms of business culture and outside work and to see how it differs from the Swedish culture. I also look forward to meeting new people and to the networking events. I will bring a positive mindset and a sense for customer service. I have previous been working in retail and banking, both two service industries which gave me an understanding of the importance of the customers need which I think will be a good starting point in my position as Business Development Coordinator. I hope to broaden my perspectives and gain a better cultural understanding of how the US market differ from the Swedish market. As SACC-GE is a non-profit organization, I also hope to gain a deeper understanding of the structure of a non-profit organization and how it is to work for such an organization. I am originally from outside a small city called Kristianstad in southern Sweden where I grew up and lived my 23 first years. Since then I have lived 6 months in Hong Kong before I moved to Uppsala where I am studying a master’s in Business and Management at Uppsala University. Besides my studies and work I love to travel, meet new people, and to experience new cultures and I believe that there is something to learn from every new meeting. I also try to stay active and I have been competing in both Toughest and Tough Viking which are two obstacle courses in Sweden. I have always wanted to go to the US and experience the culture and working life here, so choosing one thing is hard. However, I am especially looking forward to all the people I will have the opportunity to meet, both within a business environment but also private. I am also really excited about the events I will get the opportunity to project lead, which I hope people will enjoy and create great memories at. Through my role as president of the Exchange committee at my student association, I gained a lot of experience in terms of project event/marketing planning and problem solving which I believe I can contribute with as well as develop. I also hope that my creativity and enthusiasm within the area can be a valuable addition to the team at SACC-GA. I hope to gain insight in the American business culture and how it differs from Sweden, as well as develop my skills within marketing. As this is a role comes with a lot of responsibility and ownership of your own work, I am also convinced that I will have to challenge myself in many ways which is a valuable experience in itself. I just graduated from my BSc at Stockholm School of Economics where I spent the last three years. Before that I spent almost as long living in London, initially working as an au pair and after that within retail. I grew up in a small town called Nässjö in Småland where my family still lives and I love to visit. My best friend is my identical twin (!) Isabelle who I don’t just share looks with but also the same bad sense of humour. On my free time I enjoy spending time with friends and family, as well as travel. Today the Honorary Swedish Consul, Mr. Tom Rosseland, welcomed Swedish expats in Georgia to the voting poll.